Created from copper. 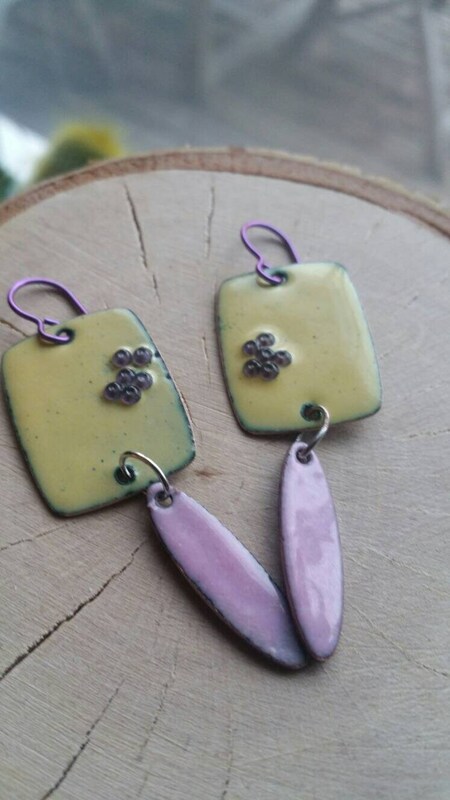 Vitreous enamel (powdered glass) is sifted and fused to the copper by firing in a hot kiln in multiple layers and firings. Glass beads are melted into the enamel. 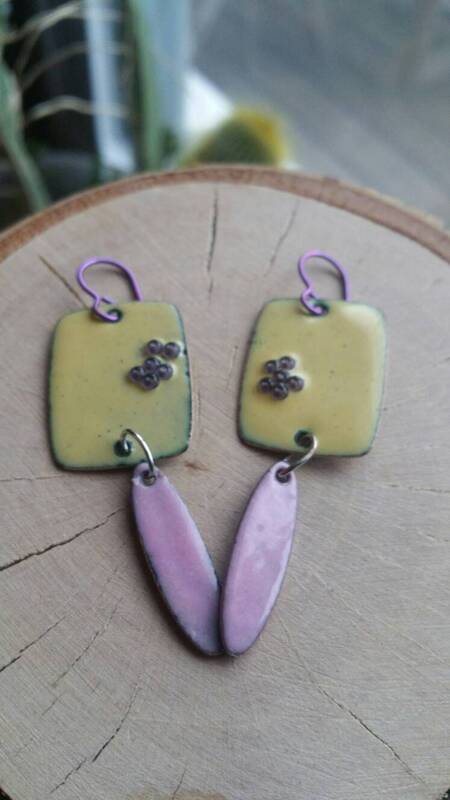 Yellow and pink enamels. 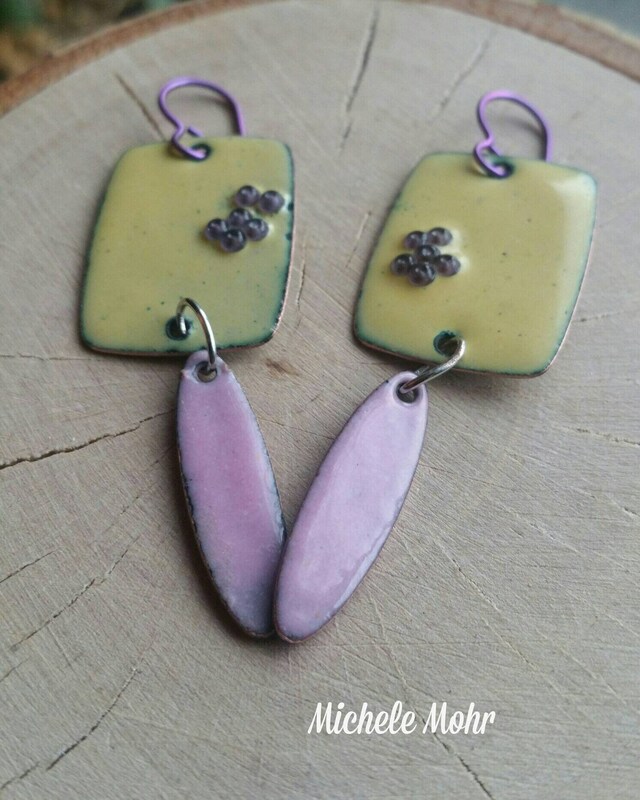 Hypoallergenic niobium fuchsia ear wires. The bright and sunny funky earrings are a great addition to brighten up your Spring and Summer wardrobe. Approximately 2" in length and .75" wide. Lightweight and easy to wear.